The statements set forth in this catalog are for informational purposes only and should not be construed as the basis of a contract between a student and this institution. While every effort has been made to ensure accuracy of the material stated herein, Fort Valley State University reserves the right to change any provision listed in this catalog including, but not limited to, academic requirements for graduation, without actual notice to individual students. Students have the responsibility to keep apprised of current graduation requirements for the degree program in which they are enrolled. Information regarding academic requirements for graduation is available in the offices of the Registrar, the Vice President for Academic Affairs, the Vice President for Student Affairs, and the Deans of each College. In the event that an administrative hearing officer or a court of record determines thatpublications issued by Fort Valley State University create a contractual or quasi-contractual relationship with any person, the amount of damages recoverable by the parties shall be limited to the amount of consideration paid by the person for the privilege of admission, enrollment, continued enrollment, or other service rendered by the University to such person. As used herein, the term publications (without limiting the generality of the normal meaning of the term) shall be deemed to include any and all written forms or other documents issued by Fort Valley State University concerning applications for admission, enrollment or continued enrollment, waivers of liability, consents to medical treatment, residence hall occupancy, and all other documents, letters, or other materials issued by the University in the furtherance of its educational mission. 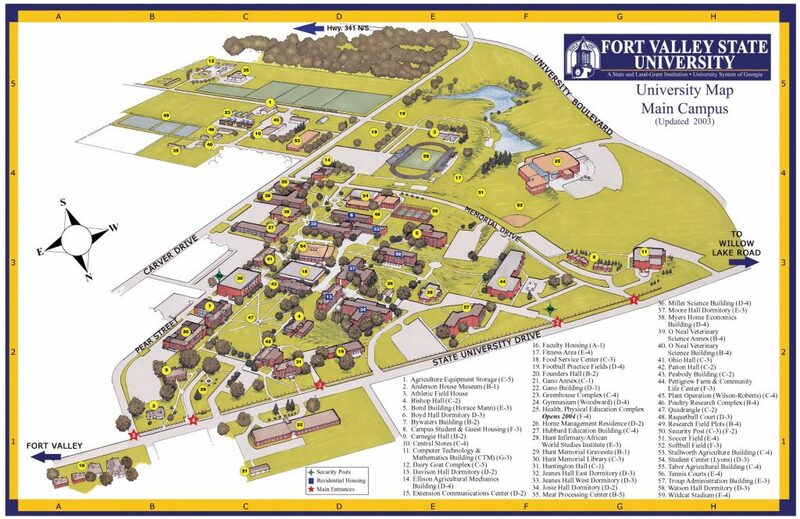 Fort Valley State University subscribes to a legal and moral obligation in its pursuit to achieve affirmative action in the provision of employment and educational opportunities for all persons regardless of race, color, religion, national origin, marital status, age, gender, and physical or mental handicap. To this end, the Affirmative Action/Equal Employment Opportunity/ADA/504 Handicapped/Title Nine and Learning Disabled Office and the Office of the Vice President for Academic Affairs work closely to provide an environment which is free of bias and inequality.